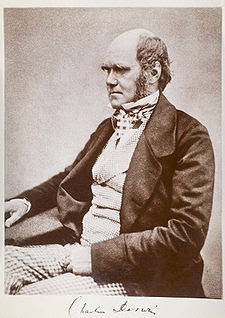 It’s the 200th year of the birth of Charles Darwin (Feb 12, 1809 – 1882) and the 150th year of the publication of On the Origin of Species (1859). There’s been lots published on Darwin and his work but we’ll point you to one that doesn’t get that much attention but is really interesting. It’s a 1978 BBC series called The Voyage of Charles Darwin. This series is hard to find but thankfully there’s YouTube to the rescue. You can watch the series here and there are 7 episodes broken roughly into several 10 minute segments. Episode 1: I was considered a very ordinary boy. Episode 2: My mind was a chaos of delight. Episode 3: How wide was the distance between savage and civilized man. Episode 4: Can any mountains, any continent, withstand such waste? Episode 5: I felt myself brought within reach of that great fact, that mystery of mysteries. Episode 6: Suppose that all animals and all plants are represented by the branches of a tree – the tree of life. Episode 7: In the distant future, light will be thrown on the origin of man and his history. Episode 1 sets up Darwin's life before going on the voyage. It's a bit like a Jane Austen story with a dash of science thrown in. After Episode 1, the series starts to pick up science-wise. Watching the series you can’t help marvel at many things including the ship, the HMS Beagle, that Darwin travelled on as naturalist. The ship used in the series was this one. Also interesting is the cast of characters on the voyage especially the captain of the Beagle, Vice-Admiral Robert FitzRoy (1805 – 1865). He seemed to enable and encourage so much of what Darwin did and yet was like the foil to Darwin’s theories. Every time Darwin brought some interesting specimen or fact (like seashells high in the Andes) back to the ship, FitzRoy was sure to deny or ignore it saying that all the answers were in Genesis. Needless to say, he was greatly pained over the publication of The Origin of Species.